AIR SUP COLOURS 7' 7'6"
Description: How often have you heard the saying "THE KIDS JUST WANT TO HAVE FUN!" Well, the SUPA TOY Air has been designed primarily for your kids! The whole idea is a multi-usage/multi talented 'beach toy' - but this is one that really works, is really well made and designed to perform, so it encourages progression while still being easy and fun to use! Light to carry, it rolls up small enough to always be popped in your car or van when you go on a family outing, so you never miss the opportunity when you arrive at the perfect spot for some unforgettable family fun time! 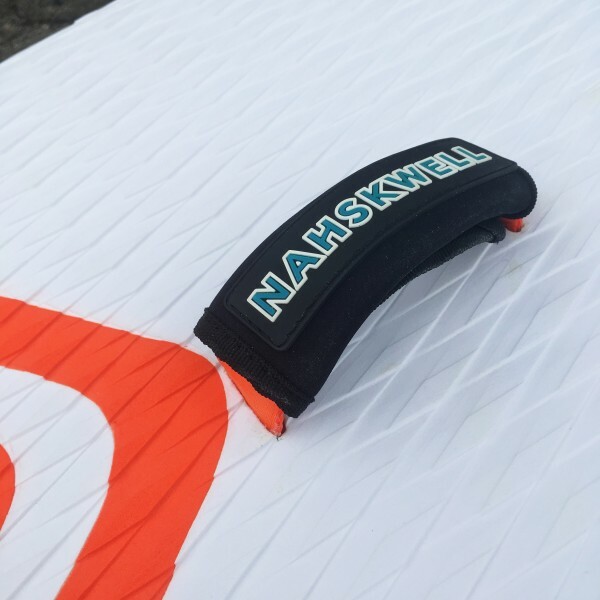 Small, light and very responsive, they come with a mastfoot insert to make them Windsup capable as well, so whether you want to Surf, SUP or Sail, you can do it all with a SUPA TOY Air! With 145 or 160 lt an adult can also have lot of fun on one as well, making this high quality and super versatile board much more justifiable, as the whole family can have fun with it! 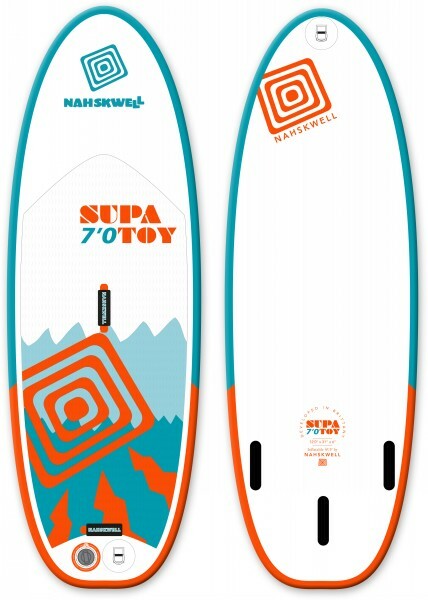 The 'SUPA TOY' Air name perhaps 'undersells' it, as it should really be looked on as the inflatable version of the legendary composite construction AHD Sealion range of boards from the same parent company, as with both, it's all about having the most fun with a single board that's possible! We have set out to replicate as much as possible, the superb feel, performance and versatility of our rigid composite boards with our superb new range of Inflatable SUP's. Specially developed over several years to give a real bonus in terms of storage, transport and shock resistance over rigid boards, their many attractive features make them incredibly versatile and simply great fun to own, making them ideal for family use in a wide range of conditions and locations. All our inflatable's are built in the latest "Fusion" technology, meaning they are more rigid and lighter, with recommended inflation pressures of 16 to 22p.s.i. Side fins are surface mounted at the factory and we supply soft removable US box Centre fins on the Kool Air, Fit Air, Rocket Air and Training boards. All but the Training Air and 14' Fit Air come with a deck insert for WindSUP - The Supa Kool Air and Supa Rocket Air come to 2 deck insert fittings and 2 extra Centre US fin box's/fins on the Supa Kool's and an extra Centre US fin box/fin on the Supa Rocket to enhance Tandem WindSUP performance. All boards include their appropriate fixed and removable fins, hand pump with pressure gauge, repair kit and carry bag with well padded shoulder straps - Supa Kool and Supa Rocket boards are delivered with an Electric Air-Pump instead of the usual manual hand pump. Kai Sports also offer all these packages including a variety of Paddles and Leashes to suit your needs. Weight Tolerance: +/- 8%. All information is correct at the time of writing, but is subject to change or alteration without prior notice. For latest information always check with your Shop or Kai Sports Ltd.